Ce condo chéri a tout ce que vous, votre famille et les amis ont besoin pour des vacances merveilleuses! Ouvrez la porte et être accueillis par une cuisine complète, foyer au bois, un coin repas confortable et une belle vue sur le golf vers les collines et les pistes de ski de montagne Schuss. Deux chambres de bonne taille avec un lit queen dans le maître et une reine avec une couchette de tête jumeaux dans la 2ème chambre et un futon dans le salon. On y trouve aussi une machine à laver et sèche-linge de la pile, lave-vaisselle, tous les draps, bois pour la cheminée et un grand moment! 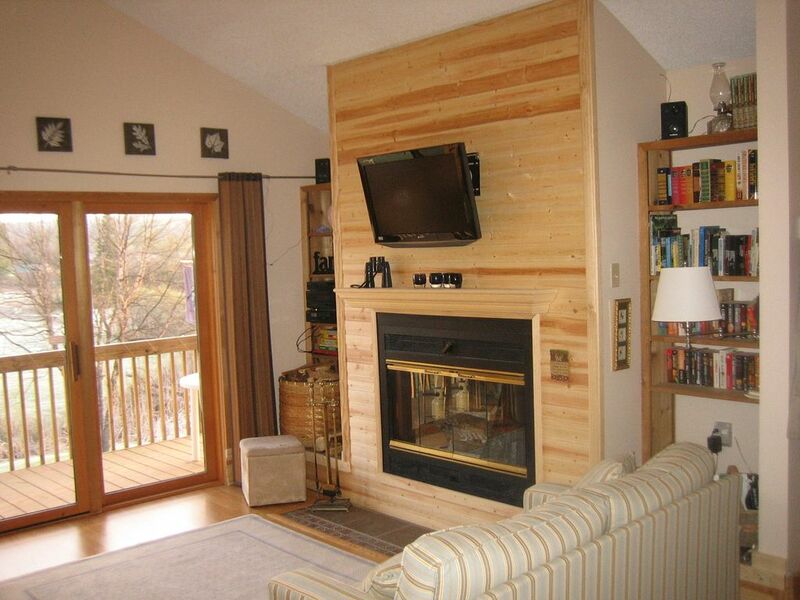 We were happy with the way the condo was set up as far as furniture, clegningnes and location. One complaint that we have is the fact that the temperature in the unit was set at 50F in February. It took almost 3 hours to get to a comfortable temperature. When we called and inquired about the temperature being so low we were told “that’s standard, turn it up to the desired temperature “. Our family of 4 (two kids ages 12 and 14) stayed over New Years. Great location! Our kids were able to easily walk to the base of Schuss each morning. The condo and contents were no frills but very clean and the beds were super comfy too! The condo was very clean and well stocked. Very pretty views from the living area. A little too chilly for the outdoor pool, but it is very conveniently located right next door. A beautiful area to explore. We look forward to coming back this winter. condo very clean. enjoyed the area as always. Tressia was very accommodating. looking forward to our next scheduled stay in September.